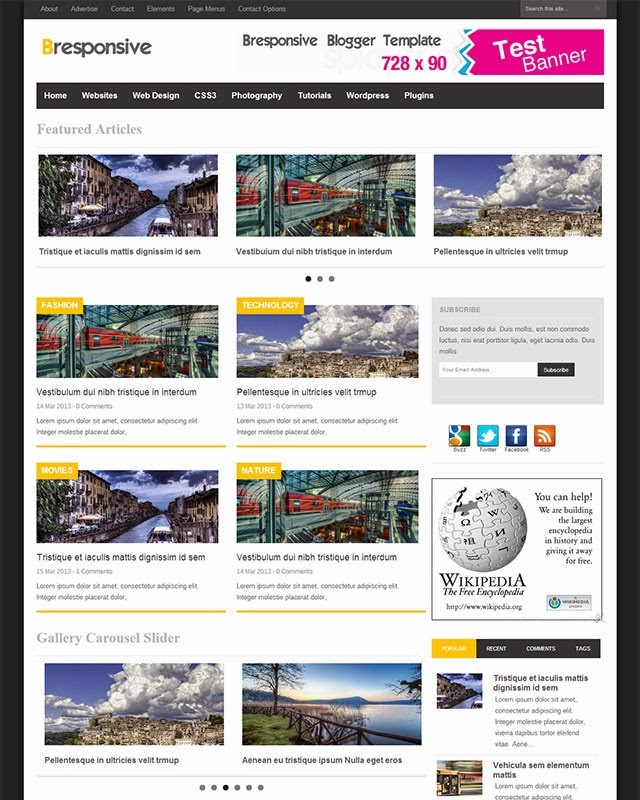 BResponsive is a Fully Responsive Professional Blogger Template for blogger blogs. Professionally Made Premium Blogger Template like WordPress themes and Adsense & SEO Friendly Blogger Template Designed by SpicyTricks. Related post box at the end of every post (To improve Page Views). the urls and change the link URL to match the url in your blog post. For125x125 Ads, search widget-ad125 and add the appropriate urls there.